Each year, the Fulbright U.S. Scholar Program sends scholars and professionals to more than 100 countries, where they lecture or conduct research in a variety of academic and professional fields. This year’s MU Fulbright U.S. Scholars are Mark Ashbaugh, professor of mathematics, in Chile; Nathan Boyer, professor of art, in Austria; Jere Gilles, professor of rural sociology, in Bolivia; and Robert O’Connell, professor of engineering, in Ireland. The Fulbright Program was established in 1946 to increase mutual understanding between the people of the United States and the people of other countries. 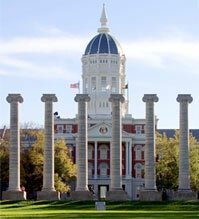 Since 1998, more than forty MU faculty members have been named Fulbright U.S. Scholars. Although the U.S. Scholar Program is focused on sending faculty abroad, there are three other components to the Fulbright Program: the Fulbright Program for U.S. Students, the Fulbright Foreign Student Program and the Fulbright Visiting Scholar Program. WHERE: Chambers Auditorium, MU Student Center, MU Campus. WHEN: 3:30 – 5 p.m., Thursday, Nov. 19.